What Are the Similarities Between Nuclear Fission & Fusion? The United States first built a nuclear fission reactor in 1942, and used the first fission bombs in 1945. It was in 1952 that the U.S. government tested the first fusion bomb, but fusion reactors, as of May 2011, are still impractical. Despite the different approaches to energy production that fusion and fission scientists follow, the processes do share some common features. Both nuclear fusion and nuclear fission use the energy stored in atomic particles in the energy production process. 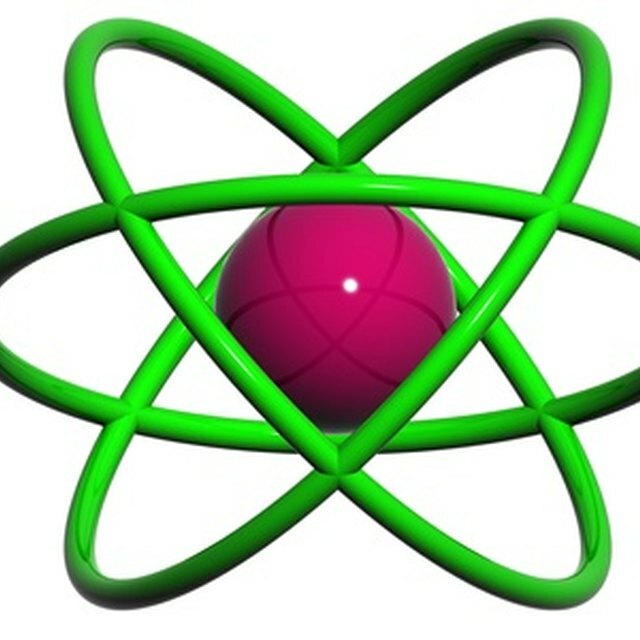 An atom consists of a central nucleus and electrons that move around the outside of the nucleus. All elements have proton particles in the nucleus, and electrons, which are much smaller particles, outside. All elements apart from hydrogen contain particles known as neutrons in the nucleus, which have roughly the same mass as protons. These particles use electrical charge and other forces to stick together as an atom, unless energy is introduced from another source, in which case the atoms can break up, in the case of nuclear fission, or join together, in the case of nuclear fusion. When an atom changes itself during a nuclear reaction, it releases the energy that it previously used to hold the particles together or keep them apart. Both fission and fusion are processes that aim to produce energy, which power plants can then turn into electrical energy to power homes and businesses. It is the energy the atom releases as it changes into a different form that power plants harvest. As of May 2011, the energy efficiency of fusion reactions, which need a large amount of initial energy to start the reaction, is not sufficient to make it a viable energy-production option. Both fusion and fission reactions are suitable for making nuclear bombs. 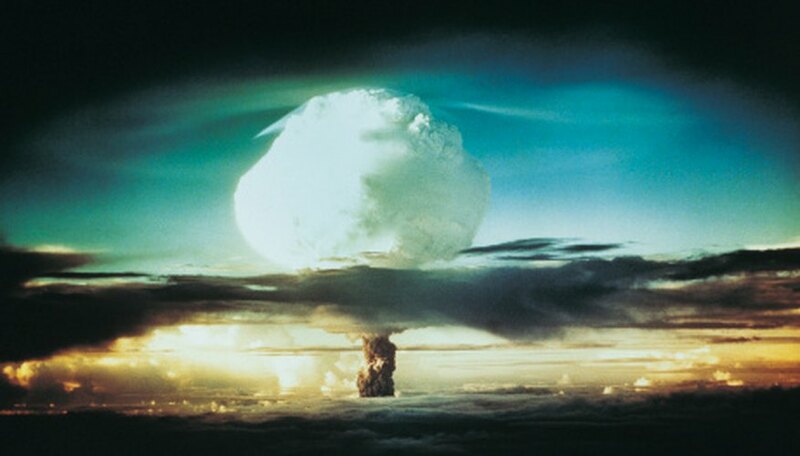 The atomic bombs of World War II were fission bombs, although the fusion bomb, also known as the hydrogen bomb, was tested only a decade or two later. Both fission and fusion can occur naturally. The sun, the source of heat and light energy for the planet, gives off energy produced by fusion reactions between light elements such as hydrogen and helium. This is possible only because the core of the sun has high temperatures and high pressures, which provide the start-up energy for the fusion reaction. Fission reactions do not happen naturally nowadays, but according to the Lawrence Berkeley National Laboratory at the University of California, about 2 billion years ago, a location in what is now west Africa was the site of a naturally occurring fission reactor. O'Keeffe, Jillian. "What Are the Similarities Between Nuclear Fission & Fusion?" Sciencing, https://sciencing.com/similarities-between-nuclear-fission-fusion-8452779.html. 24 April 2017.